Me? Uhmm, I’m actually having a hard time looking for gifts to give. Will this gift be useful to them? Will they like it, love it, or just forget about it? How nice it would be if there could be a gift guide for all the types of people we’d be giving gifts to, huh? 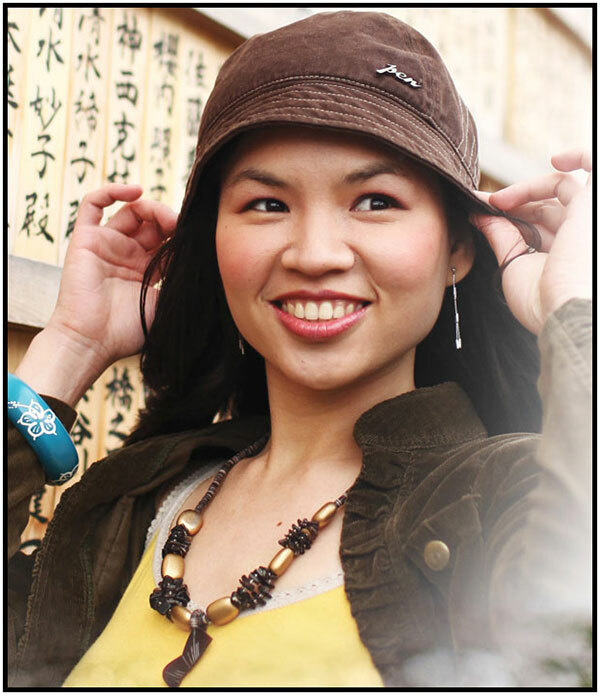 What to give the fashionista? The techy? The bookie? The preggy? I thought I’d get the list going by making one that I can very much relate to. The mom. The old, the new, and the in-betweens. One of the toughest things to do as homemaker is to come up with a list of things to eat that are healthy and appetizing, and more importantly, not nakakasawa (always repeating). 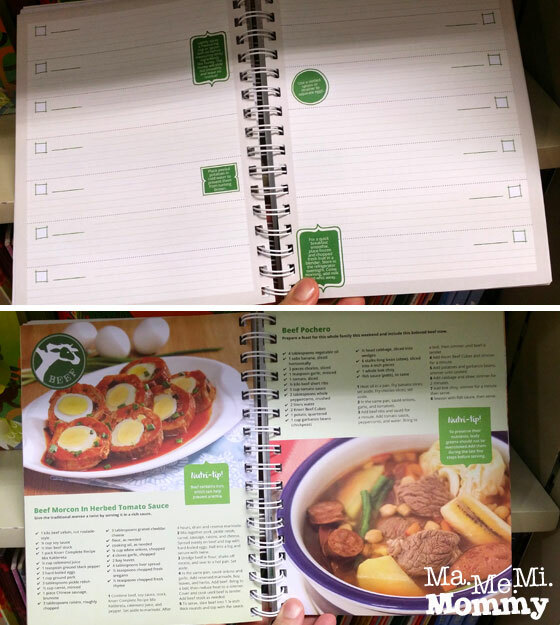 While browsing the bookstore, I found Plan, Cook, Eat, a menu planner from Yummy, and it seems to be the perfect thing that can help lighten up this load. It has weekly pages where you can plot out meals and keep track of the food you’ve cooked up so as not to repeat the same ones at too close intervals. It also has recipes to help you take inspiration from, helping you become that kitchen diva! 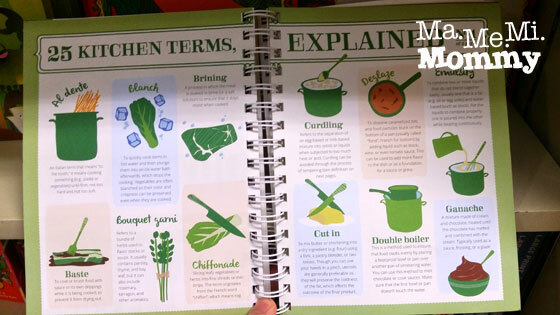 There is also a foodcyclopedia at the end of the planner that helps you use words like chiffonade and ganache as if you’re a true culinary expert. Apart from that, there is also a grocery list for you to write down what you need to stock up on and pretty sticker labels you can use to decorate gifts you’ve lovingly prepared from your own kitchen. 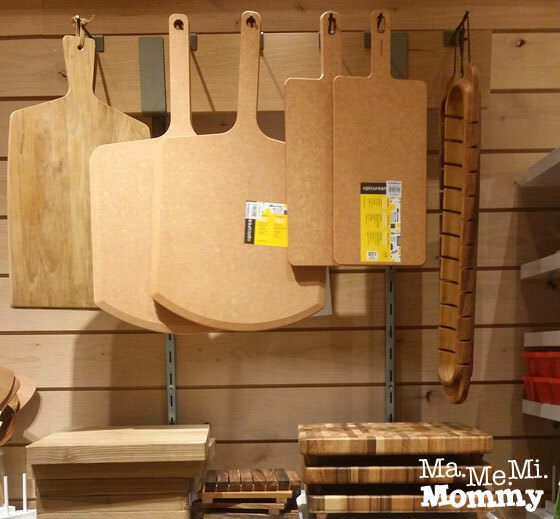 Still on the topic of homemaking, if you’ve watched cooking shows on TV, the chefs there always use these big wooden blocks to chop on. Watching them actually makes me want to get one for myself just to “feel” like a true chef. LOL! Anyway, they do add quite a nice touch to any kitchen and also add character to the food prepared. I found these at the newly opened Crate and Barrel at the SM Mega Fashion Hall. The prices are a bit steep though so best to reserve this only for the serious cooks. 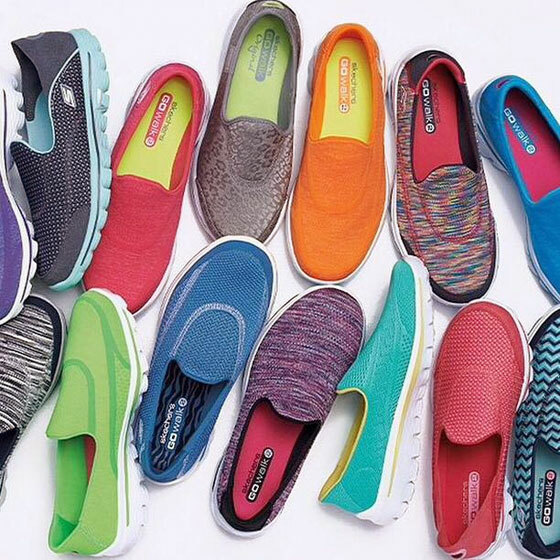 I have heard soooo many good things about the Skechers GoWalk. They seem to be the most comfortable pair of walking shoes, e-ver. I have yet to try them though. If the reviews are indeed true, any mom would definitely need this as she runs so many errands in a day – walk the dog, walk the kids, buy groceries, pay bills…all that while carrying a baby in one arm! A mom’s feet would definitely thank the high heavens for these shoes that, as they say, are engineered for comfort. I’ve spotted these at Planet Sports and also online at Zalora (Asia’s leading online fashion destination), and they look so nice! I especially love the top-sider styled ones (not in photo). 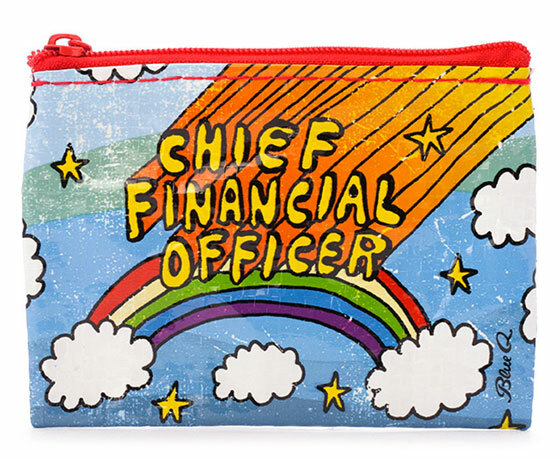 If you’re looking for more coolness like this, you can shop for chic slim wallets here. 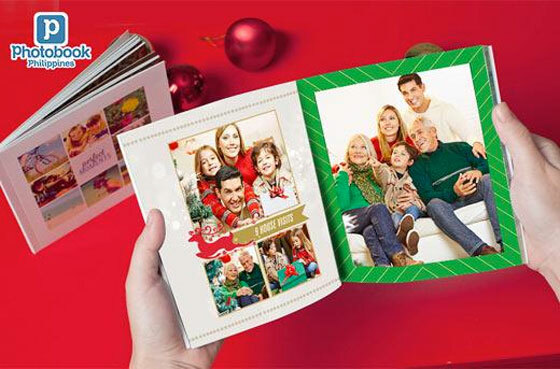 Photobooks or anything personalized. Moms love seeing pictures of her family in hardbound books, in calendars, in coffee mugs, in walls, in just about anything! Do check out the deal sites frequently as they are almost always there. Take a look at this deal at MetroDeal that offers a 40-page photobook for only P89! wow i like that recipe/menu planner! i think i’m getting one! Thanks for dropping by, Vivienne! 🙂 Photobooks make nice gifts. I bought myself some vouchers but haven’t gotten around to gathering the photos though. 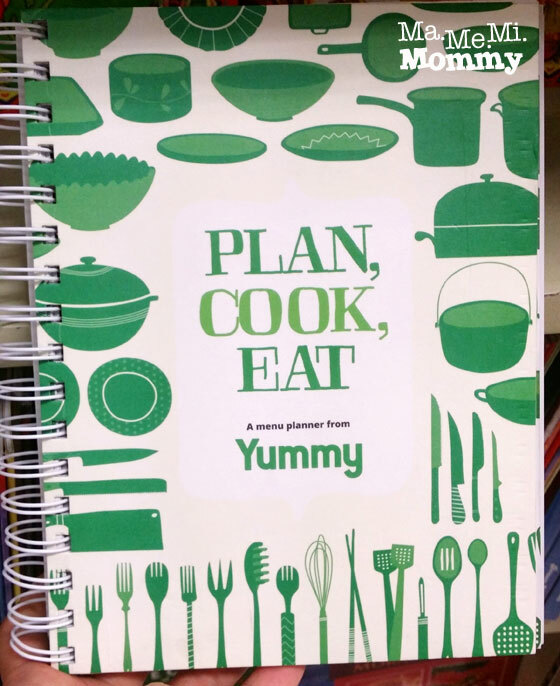 Oooh, I like the Plan, cook and eat planner! I already have a couple of friends in my list that I want to give that to. 🙂 Those chopping boards are too pricey, though, haha. Anyway, we’re doing lots of DIYs this year for gifts. I’m thinking of DIY gifts too but my mind’s going blank as Christmas nears. hahaha! That’s a very nice idea! 🙂 I wish I had more time to take photos. The purse is very cuteeeeee!! 🙂 and mura also. Thanks for this. I really should make a list on the blog too. Just incase my friends get my hint.